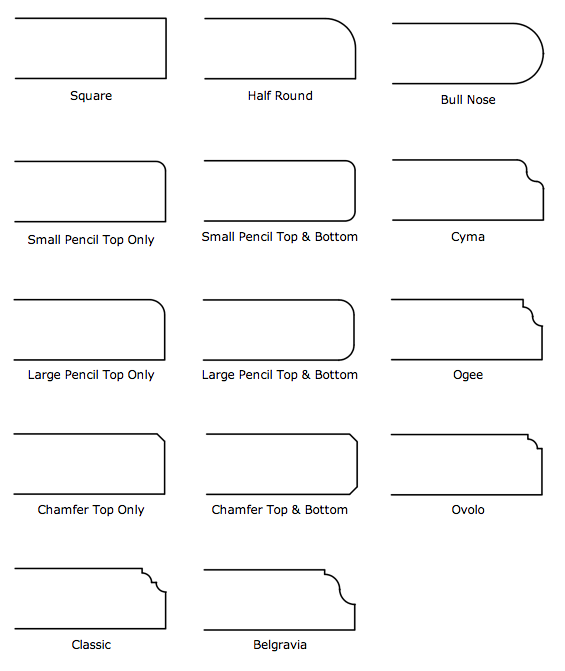 Edge Profiles & Mouldings for Worktops, Tables & Shelves. There are a selection of the various edge profiles available for our worktops, tables and shelves. You are not limited to one particular type of edge profile, so you can order worktops and shelving and have different profiles on each. Unlike most manufacturers who charge for this, all our profiles are free of charge.